2003B - Assume that the country's economy is operating below full-employment. 2003 - Assume the economy is in a severe recession with no inflation. 2010B - Assume the country's economy is in short-run equilibrium with an output level less than the full employment output level. 2011 - Assume the economy is currently in recession in a short-run equilibrium. 2016 - Assume the economy is currently in a short-run equilibrium with the actual rate above the natural rate of unemployment. So, if we deconstruct this a bit, we see a few phrases that keep repeating. 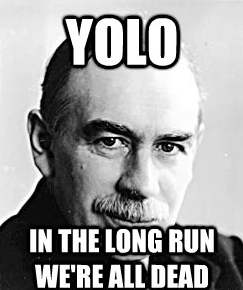 So, if you see any of these phrases, its a tip that a recession curve will be asked to be drawn. So, how would this look. 1. 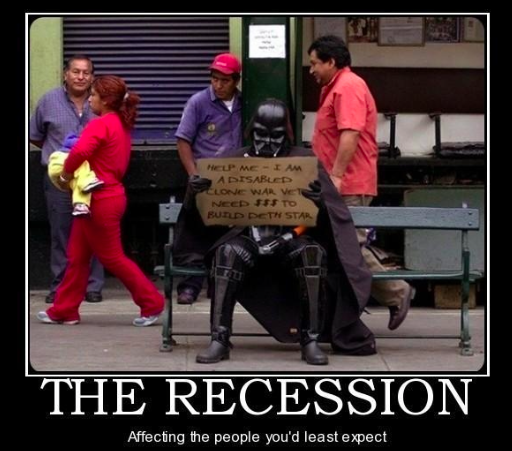 Assume the economy is in recession. (a) Draw a CLG (clearly labelled graph) of the AD/AS curve of the economy below full employment. 2. Assume the economy is operating below the full-employment level. (a) Draw a CLG (clearly labelled graph) of the AD/AS curve of the economy below the full employment level and (ROUPY). (b)The government decides to lower individual income tax rates to achieve full employment. 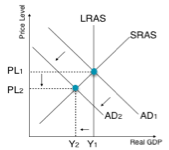 (c) Explain (WHY) how the government's decision to lower income tax rates will affect the AD & SRAS curve. (d) List using (ROUPY) what happens in the economy when the government lowers the tax rates. (c) The lowering of individual income tax rates (expansionary policy) will increase the levels of disposable incomes in the economy and lead to more (C) consumption and (I) investment and therefore AD will increase. The SRAS curve will not be affected. Output - Increases as more disposable income in the economy stimulate AD. Unemployment - Decreases as more people are put back to work as output increases. Understand the flow of these questions. You can be asked to graph (AD/AS) the above. You are asked to graph (AD/AS) the affects of the above and or explain. The last section pertaining to the AD/AS curve is if the government does nothing. The AP exam has asked this 5 times over the last 22 FRQ exams.